Our Third Annual Historic Homes Tour will be another day filled with great history, interesting stories and beautiful homes. Starting with the John and Ann Zurheide Home located at 315 Erie Ave., we will learn about the modern renovations of this home that once was the home of the Charles Broughton family. This tour will include three levels of the main house as well as the renovated carriage house. Two homes for one stop. Our next property is a very unique dwelling. The Zimmer Ballhorn Chapel has a long and storied history in Sheboygan. Starting as the Ballhorn Funeral Temple, it has served Sheboygan for 134 years, first as a furniture store then eventually a full service funeral chapel. This tour will highlight the residence of the Ballhorn family located on the second floor of the 1928 structure located at the intersection of N. 8th St. and St. Clair Ave.
Our final property is located at 522 Niagara Ave. and is the current home of Jeremiah and Nicole Reynolds. 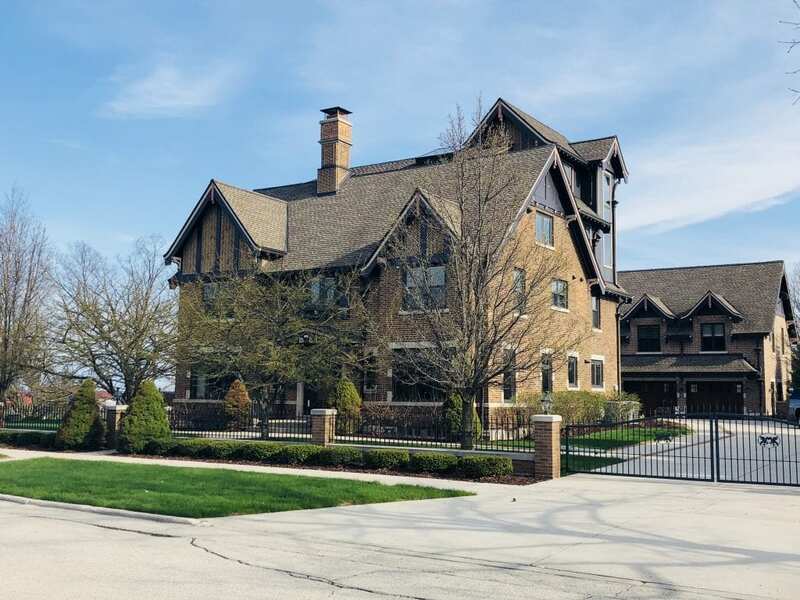 This beautiful home was built by Henry Scheele Jr., second generation owner of Scheele Monuments in Sheboygan. Scheele Monuments produced some of the most iconic monuments in the area out of their shop on N. 8th St., located on the block Mead Public Library occupies today. Cost of the tour is $20 for non-members and $15 for members. Tickets can be purchased at the Sheboygan County Historical Museum prior to the event or can be purchased the day of the event at any of the three locations. Credit Card purchases will be accepted at Ballhorn Chapel ONLY. Due to the nature of this event, we suggest participants be 10 years old or older. Buildings may not be handicap accessible and rest rooms will not be available for public use. We hope to see you on the tour!